Automobile accident attorneys in Rapid City, S.D. Serious automobile accident injuries can require more than a few weeks of healing. Bruises and broken bones will eventually mend, but what happens if your injuries are more serious, and you require long term medical treatment? What about the time off of work you’ll need to recover; how will that affect your finances? These are just a few of the concerns you’ll need to address with insurance to make sure you’re covered for all eventualities. But, most of us don’t have any experience negotiating with insurance companies, and the last thing you want to do is accept a settlement amount that may not be enough to cover, not only your current expense, but those that may come up in the future. Gregory A. Yates and Michael Shubeck, auto accident attorneys in Rapid City, have decades of experience procuring favorable settlements for their clients. They work tirelessly on your behalf to ensure that you receive the compensation you deserve. When you sit down with either Mr. Yates or Mr. Shubeck, he will establish the facts of the case. He will go over any details you recall about the auto accident, whether or not the other party incurred a serious personal injury, and what time of day it happened. Other factors may come into play, such as the weather conditions at the time of your auto accident in Rapid City. 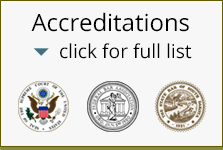 At Rapid City Attorney (RCA), we’re committed to taking the time and really listening to your explanation of what occurred. We will order a copy of the police report and any insurance claims submitted by you or the other party, but we’re also interested in hearing your version of events. You’d be surprised what you might remember when you’re asked the right questions. When you’ve sustained injuries from automobile accidents, there are many details that could have bearing on the potential settlements you receive. Things like road conditions, the condition of your vehicle, and right of way all come into play, which is why it’s best to have an expert on your side. Getting legal advice could be the difference between covering all your bases or accepting a payout that is inadequate to cover your medical needs and loss of wages. Call Rapid City Attorney today to schedule a free consultation. Whether you’re considering filing a lawsuit or just want advice on how to work with your insurance company, we’re here to help.